When Cheryl and Paige reached out to me and asked if I'd be willing to participate in the blog hop organized to celebrate the launch of their very first book, I was honoured and really excited to get to play with one of the patterns from the book. I chose to make Row Addition for the blog hop. I loved the simple design and the size is perfect for a baby quilts - there are lots of babies in the family now and I'm sure this one will come in handy. For my version of Row Addition, I went with Kona solids: White for the plus signs and then Bubblegum, Schoolbus, Sprout, Jade Green and Teal Blue. The piecing was really quick and easy - thanks to the great design and the clear instructions. The top was done is one evening. Next, I had to decide on a backing and binding. Thankfully, I had the really fun polka-dot wide-backing leftover from another project. I also had enough of it to prepare my binding! For the quilting, I stitched wavy lines across the width of the quilt with my walking foot. I really love how soft the quilt is with these lines of stitching. I used Aurifil 50 wt thread for the quilting and decided to match the thread colour to the Kona cotton in each row: #2479 (pink), #2150 (orange), #2845 (light green), #2890 (dark green) and # 2780 (navy blue). 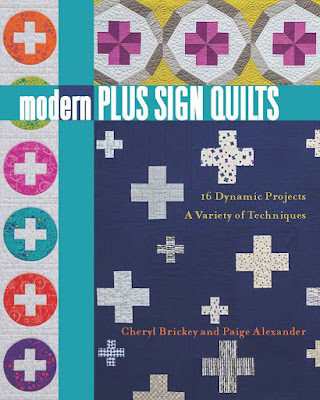 The Modern Plus Sign Quilts book is full of really beautiful quilt designs - and they go from small runner to big bed quilts. Some are even designed for paper-piecing so you'll get to work on different piecing techniques. 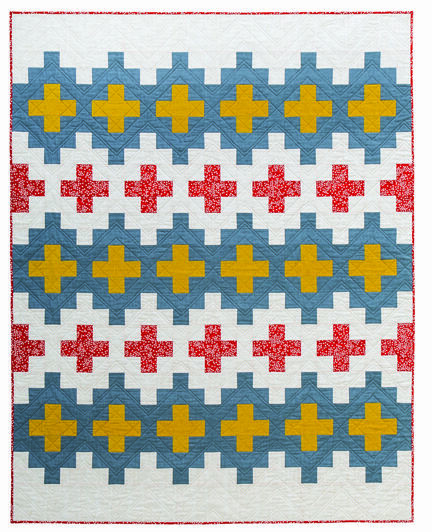 I will be sharing this quilt finish over at Crazy Mom Quilts for Finish It Up Friday and at mmm! Quilts who is hosting TGIFF this week. This is also finish number 5 on my 2018 FAL list for Q1! This is a lovely version! That's quite a to-do list! 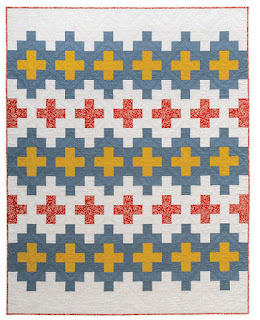 Perfect for a baby quilt, love this one and your choice of color. Great colors! And that polka dot backing is fabulous and a great choice for this pattern in these colors. I love your version! The colors are awesome together and the backing is so much fun! Thanks again so much for taking part in the book hop!! What a beauty! 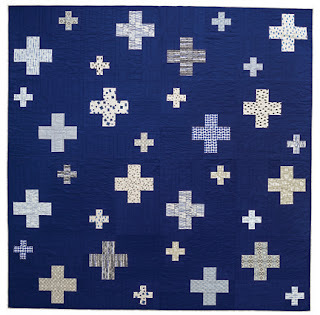 I love the solids used in this one and your quilting. Great 'addition' to tha hop! Fantastic design and love the fabric combo and the setting. I love that polka dot background and how it wraps around to the front. Great colors! I'm loving all the quilts I'm seeing from the book and glad I snagged a copy. Wonderful color in the quilt you made! What a great version, Izzy! I love the colors you chose and the fun backing you selected to go with it! 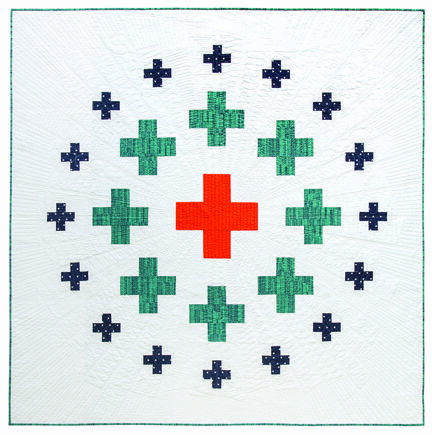 Thanks for sharing your version of this quilt - I love the colors. Wonderful in those beautiful bright solids and lovely happy backing and binding too. It’s a great interpretation of the pattern. 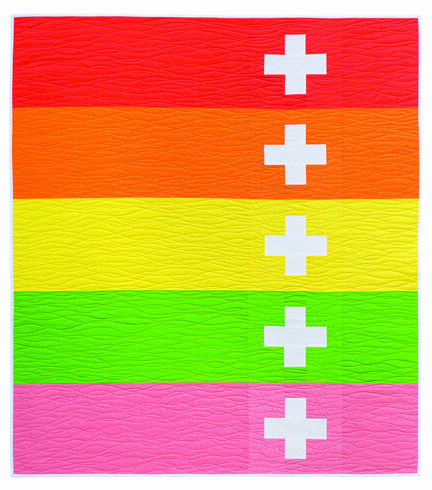 Such a great quilt and those bright colors will light up any room and make life happier. What kind of batting did you use. Ooh I love how you went from light to dark, and how you quilted it! Perfect backing too! The colors you used are so pretty and go together so well. Thanks for sharing the name of the fabric you used. It has been fun to see the various quilts using the same patterns. I love your Row Addition. That pattern is so modern and fresh. The book is on my wish list for sure. 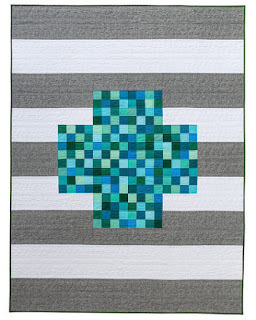 I love your version of this quilt, and the wavy quilting lines worked wonderfully! Great color choices and beautiful quilting. You used such pretty Kona's for your version of this quilt. It's wonderful. Beautiful quilt! So colorful and fun and the backing is perfect. 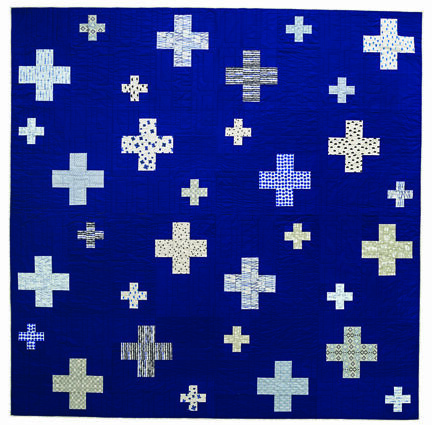 Your quilting is perfect for the design. Great job! Thanks for sharing! Love this one, Izzy! And that wavy quilting is a perfect counterpoint to the geometric design of the quilt pattern! 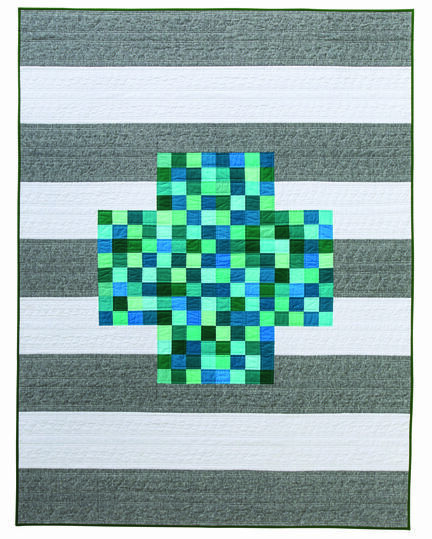 I love your color choices and the organic wavy lines for the quilting. Such fun colors! 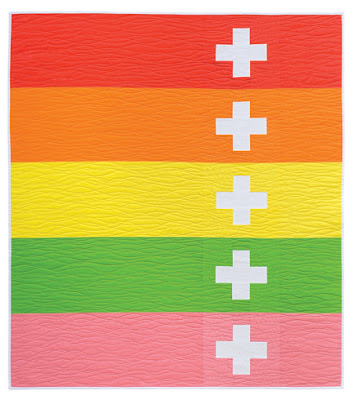 They make for a happy, sunny quilt. Your quilting is wonderful on this. Nice finish! 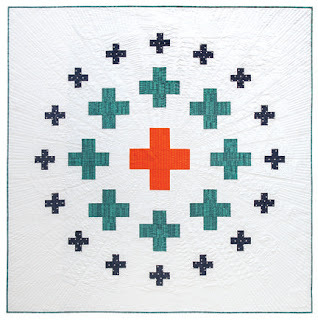 This would make a good baby quilt for our doctor, who just had one! What a lovely version of this quilt - and great to hear how quickly it came together. It is always good to have a few patterns that can be made last minute! Congrats on the FAL finish too!!! I love your colours. I want to try this pattern. There are so many great projects in this book. I love your quit! This looks like a fabulous book! I made the Aeroplane Bag!